It can be tough to pick between two of Oral B’s most advanced toothbrushes. They come with advanced cleaning modes and the ability to remove plaque. 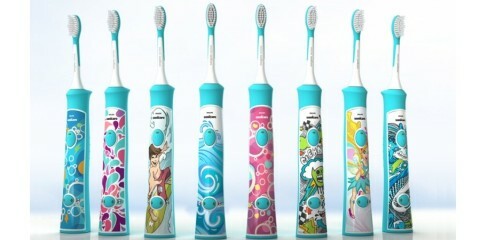 The toothbrushes will give you cleaner teeth and healthier gums. 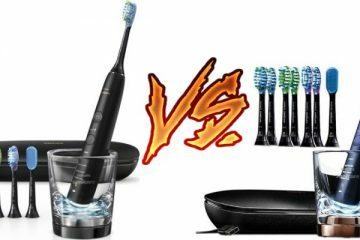 To really choose one of these advanced toothbrushes, you have to dive deep. Learn what features they have to find the ones that work best for you. The features are definitely worth a look. Each of these toothbrushes is part of the line that brought the company its ADA Seal of Approval. They were given that seal based on their effectiveness. 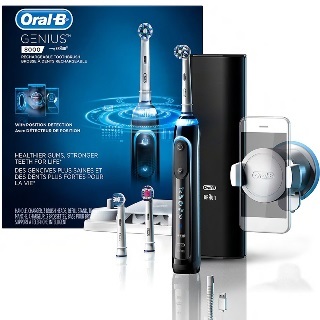 The Oral B 6000 is from the SmartSeries line of toothbrushes. It comes in a clean, fresh white with sleek silver accents on the handle. The handle can be paired with any toothbrush head from Oral B. There are other great features about the handle. It has a mode indicator and a battery indicator. The icons represent the different cleaning modes that the 6000 offers. There are 5 cleaning modes available with this toothbrush. As far as cleaning modes, the five modes each perform varied functions. There’s the Daily Clean mode, which is what you’d use for common brushing every day. The Sensitive mode is for those with sensitive teeth and gums. It’s gentler than the Daily Clean. The Gum Care mode is also gentle, but it’s meant to stimulate the gums. This gets the blood flow going and can reduce gum recession. The Whitening mode will make teeth bright and shiny. Lastly, there’s the Pro-Clean. It’s a deep clean that will remove more plaque and tartar build up on your teeth. Another great feature of the Oral B 6000 is the fact that it has a pressure sensor. When brushing, it’s important to avoid pressing down too hard on the teeth. You should never be scrubbing the surface of your teeth. The vibrations should be creating bubbles that get between teeth and along the gum line. This toothbrush has a SmartRing. The ring is visible around the entire top of the handle. It performs a few functions. It will alert you to changes in your brushing. The pressure sensor will cause a slow down of the brush as well as lighting up the SmartRing. It’s easy to customize the colors of your SmartRing, too. There are a variety of colors to choose from like red or blue. There are a total of 12 colors available in your SmartRing. There’s Intelligent Brush for Bluetooth as well. 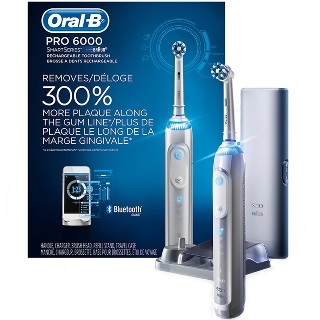 You can get the Oral B app from your phone or tablet’s app store. It has a Focused Care feature that can provide brushing plans. Those brushing plans are called Dental Care Journeys. They include things like Fresh Breath, Whitening, or Plaque Fighter. You’ll chose the one that works with your future oral care goals. The 6000 has a lithium-ion battery. This type of battery works for up to 2 weeks. It can handle any of the cleaning options you want to use regularly even the Pro-Clean, deep cleaning mode. The battery is fast-charging, too. The Oral B Genius 8000 has a few color options. There’s the sleek black finish as well as a lovely orchid purple and rose gold. It doesn’t matter the color of the handle. There is an LED indicator on the handle. It will show the modes of cleaning and the battery life. There are 6 cleaning modes with the Genius 8000. There’s a Daily Clean for daily brushing. The Sensitive mode is for those who have sensitive teeth and gums. It’s gentler than the Daily Clean mode. The Gum Care mode is also gentle. It’s for stimulating blood flow to the gums. There’s a Whitening mode for bright, shiny teeth. The Pro-Clean is a deep clean. Finally, there’s a Tongue Cleaning mode for removing food and debris from the tongue. It’ll give you fresher breath. Each mode can be accessed from the button on the handle. They can also be paired with a certain brush head, too. Around the top of the handle, there’s a light up ring. This is called the SmartRing. It can be customized in your favorite color. The SmartRing will flash for certain conditions. There’s a pressure sensor with the 8000, and the SmartRing will flash red when you’re brushing aggressively. The SmartRing will alert you to changes in brushing, too. For example, the 30-second timer tells you to switch quadrants by flashing in the color of your choice. There’s a 30-second pacer and a timer for your two minutes of recommended brushing. The Oral B app is available for the 8000. 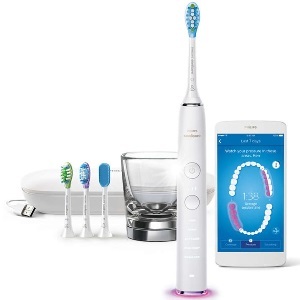 Bluetooth technology syncs your toothbrush with the app. It’ll use this technology to give you feedback in real time. You’ll be able to see a tracking of your brushing habits. Dental Care Journeys are one way in which you can develop better brushing habits. Whether it’s Fresh Breath or Plaque Fighter, the journeys will help you brush. It’ll focus on your individual needs. The 8000 also gives you the ability to see exactly where you’re brushing. It uses facial recognition for Position Detection. You won’t have to guess whether you’ve focused completely on all your teeth. The detection technology will read the position of your teeth to give you more accurate info. If you travel extensively, this toothbrush provides a carrying case. It’s one that’s specifically made for travel. It has a USB charger that holds the toothbrush and also charges other devices. You can charge your phone or tablet, so it’s easy to use Position Detection even when you’re away from home. Case matches the color of the brush, too. The black comes with a black case. The purple comes with a white and purple case and the rose gold’s case is white and rose gold. The pressure sensor is an addition that is included with most of the Oral B toothbrushes. Overly aggressive brushing can result in serious dental issues. From receding gum lines to loss of enamel, it’s a problem that should be avoided. The pressure sensor lights up the handle and pauses your brushing. It can be annoying for some at first. That just means that you’ve been brushing too hard as a habit. The sensor will help to break the habit. The SmartRing is seen on the top of the handle. It’s the spot that lights each time the handle is trying to alert you of something. It could be the pressure sensor or the timer. The SmartRing can be customized with a certain color that you love. The pressure sensor will alert you in a red that’s meant to stop you from brushing too hard. The 6000 and the 8000 both have lithium-ion batteries. These batteries are strong enough to power all the cleaning modes including the deep cleaning ones. The battery will last up to 14 days and can be charged very quickly. Every so often, it’s vital that you allow the battery to completely drain before charging. The amount of battery can be seen on the indicator on the handle. Dentists recommend that you brush for 2 minutes. Each time you brush for two minutes, you need to devote a specific amount of time to each part of your mouth. That’s why Oral B makes a 30-second pacer that warns you to move. Every 30 seconds, the handle will buzz and the SmartRing will light. This is your indication that it’s time to move to a new section. Every Oral B toothbrush is compatible with the Oral B line of brush heads. There’s the CrossAction, Precision Clean, FlossAction, 3D White, Sensitive, Deep Sweep, Ortho Care, and Dual Clean. Every handle can be used with every brush head. Each of the cleaning modes can be used with any of the heads, too. For better cleaning, though, it’s a good idea to use the compatible brush head. The 6000 has 5 cleaning modes. There’s the Daily Clean, Sensitive, Gum Care, Whitening, and Pro-Clean options for brushing. Those are all available in the 8000, too. There’s also an additional clean for the Genius 8000. It’s called Tongue Cleaning. The Tongue Cleaning mode is meant to remove plaque and hidden film and debris. The back of the tongue is where those bits can hide. When you clean the tongue regularly, you will gain a better sense of taste, too. The Genius 8000 has the ability to read your face using your smartphone’s front-facing camera. The facial recognition software will track where the brush is in your mouth. This ensures that you’re not missing any teeth. The back molars are especially hard to reach. They’re one of the first teeth to get cavities, too. It’s important to track where the brush is and what teeth are being ignored. The Genius 8000 has a suction cup that will hold your phone. With this stand, you can attach the phone to your mirror. As you’re brushing your teeth, it’s directed at your mouth for the Position Detection. Without the stand, you’d have to brush while holding the phone. That would be extremely uncomfortable and not practical at all. With the stand, you don’t have to worry about dropping your phone in the sink, either. The Smart Travel Case is made for travel. They were very thoughtful with this model’s charging abilities. The case is strong and will keep your toothbrush safe during any kind of travel. It’s slim and not bulky, either. The case can be used to charge the toothbrush as well as your phone. It’s a USB charger for use anywhere you can bring your laptop or other charging device like a power bank. The Genius 8000 has more advanced features, which makes sense. It’s a newer model than the 6000. The 8000 is perfect for people who do a ton of traveling. With this model, traveling doesn’t mean you have to ignore your oral hygiene care. The Position Detection helps you pinpoint serious issues with your brushing, so it can be corrected. It also has an additional cleaning mode compared to the 6000. Overall, the 8000 has more advanced features. 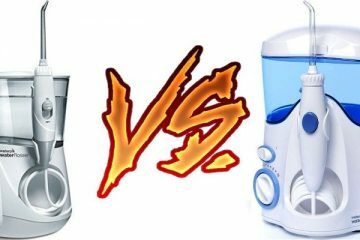 Oral b 7000 vs 8000 – Which one to choose between? Andrew Smith is passionate about oral care. He loves shopping, reading, and writing. He shares his knowledge of the oral care products he buys on this blog. 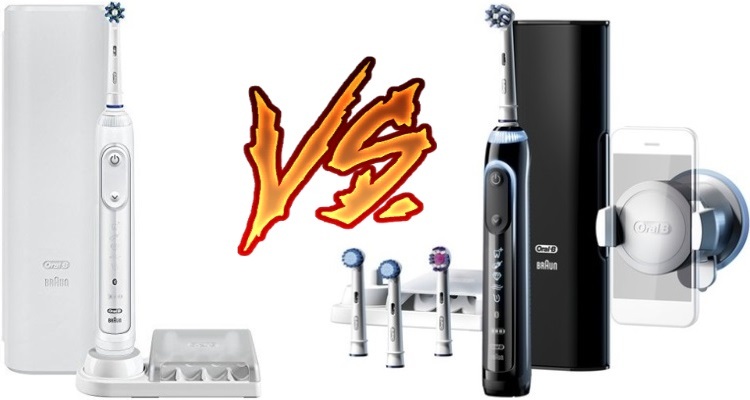 Philips Sonicare 9500 vs 9700: Which is Better?